A multidisciplinary team of transplant coordinators, social workers, psychiatrists, nephrologists, transplant surgeons, and donor surgeons provides protection for the donor. The evaluation process includes questionnaire screening of medical and psychosocial status, diagnostic studies, and, finally, informed consent. Contraindications to donation are shown in Table 3. Total creatinine clearance over 80 mL/min is required to qualify as a donor. Obese individuals and those who have a diabetic first-degree relative should undergo glucose tolerance testing. All donors undergo screening chest X-ray and electrocardiogram. Patients over 50 years of age should undergo additional cardiac stress testing. Female candidates should undergo PAP Anicolav smear and mammography (over 40 years of age). Prostate specific antigen and digital rectal exam screening is performed in men over 40 years. Repeated routine blood pressure measurements recording a systolic pressure below 140mmHg and a diastolic blood pressure below 80 mmHg are required. Borderline readings are evaluated with 24-hour blood pressure monitoring. After all the tests are done, a helical computed tomography (CT) arteriogram of the abdomen and pelvis is performed. This study is accurate in determining vascular anatomy (96-98), renal volume, renal masses, and stones. 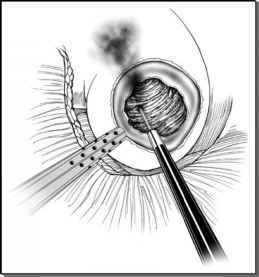 The excretory phase provides anatomic detail of the collecting system and ureters. The donor surgeon is responsible for obtaining informed consent. Just prior to the surgery, a final repeat crossmatch is performed.